– October 19th 1781 – The Battle of Yorktown, which marked the defeat of England and the 1783 Treaty of Paris signing, by which Britain recognized the independence of the United States. 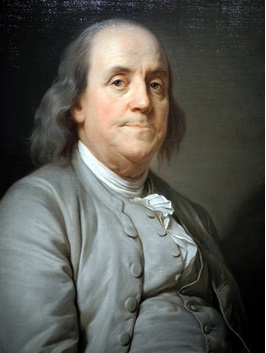 At the beginning of 1782, Benjamin Franklin entrusted his project to Esprit-Antoine Gibelin (1739-1813), a French painter and archaeologist specialising in monochrome fresco and painting mythological scenes. 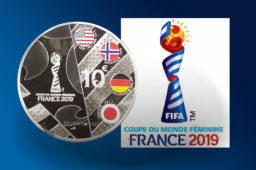 The project will be finalised by the engraver Augustin Dupré and minted at the french mint (Monnaie de Paris) in silver and bronze. In the spring of 1783, the dies were ready and the first medals were struck. In a letter dated of April 13th 1783 and sent to Robert R. Livingston, Secretary of Foreign Affairs, Franklin announced that he had offered the French Nation a gold copy to King Louis XVI and another to Queen Marie-Antoinette, as well as a silver copy to each of the ministers to thank french political authorities for their support. He attached to his letter a silver copy for the Congress President and a bronze copy for his correspondent and informed him of the forthcoming dispatch of a bronze medal for each of the Congress members. He hoped that his initiative would be approved and even offered the possibility to modify the die, if necessary. “Libertas Americana” was a personnal initiative of Benjamin Franklin. Therefore, he bore the costs alone. Faithful to his altruistic ideals, he offers this magnificent diplomatic tool to his country. On April 6th 1783, he sent a copy of the silver to the Grand Master of Malta, Emmanuel de Rohan-Polduc, accompanied by a request for protection for his fellow citizens releasing into the ports of the island of Malta. In a letter dated 21 June, the Grand Master of Malta will accept his proposal after thanking him for his gesture and the quality of this medal in the following terms: “This monument of American liberty has a distinguished place in my cabinet”. 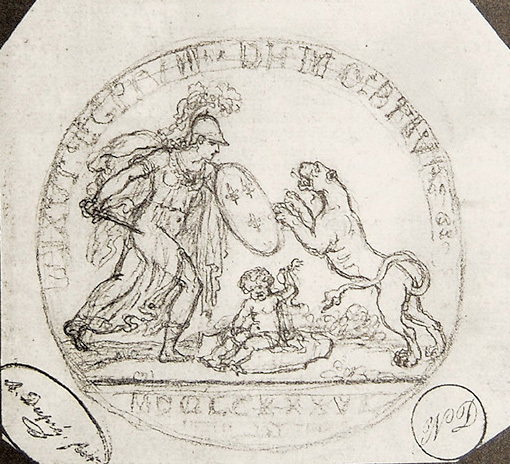 From the medal reverse composition four drawings and one terracotta are known. Two drawings are by Gibelin, of which one entered the Washington Congress Library in 2010. Engraver at the Royal Mint of Paris, Augustin Dupré joined the project at the mid-point of the design process. 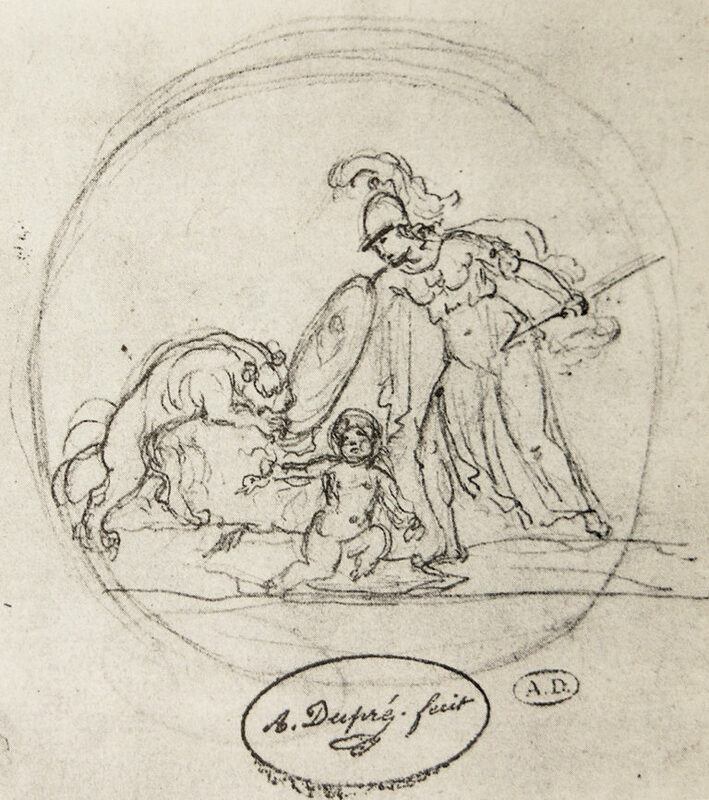 Two of Dupré’s sketches are known, one at the Musée des Arts décoratifs de Paris and the other at the American Philisophical Society in Philadelphia. This drawing incorporates some artistic changes and some will be retained for the final design. 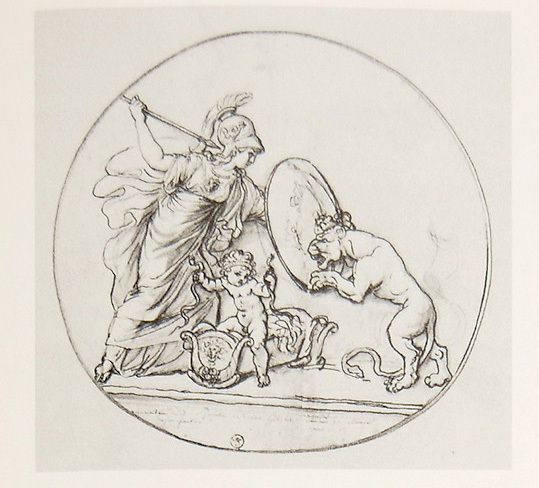 In this project, Hercules is now depicted on a shield that represents the military origin of the new nation. The quality of this sketch indicates that it was a working drawing. This is the final preparatory drawing, with all the elements of the finished medal in place and the inverted image for the production of the medal dies. No drawings of the genesis of the medal face are known and the Dupré archives have been scattered. Liberty’s drawing, wearing her emblematic hat, will have a universal posterity. In the United States, it was included in copper coins from 1793, then resumed throughout the 19th century. 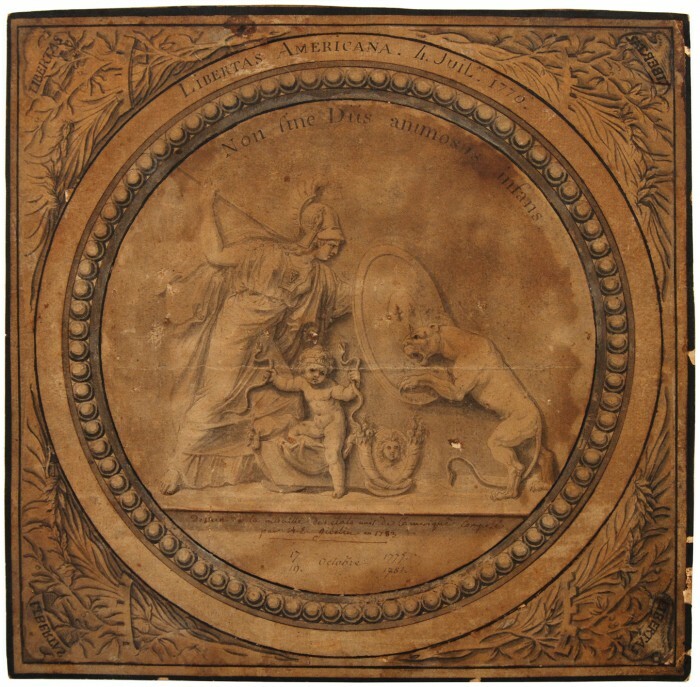 In France, as early as 1783, it was reproduced on the canvas of Mr. Oberkampf’s Jouy factory entitled “L’indépendance américaine” and, in 1792, it inspired Galle directly to engrave his “French freedom” for the monetary test in bell metal struck by the gathered artists of Lyon. 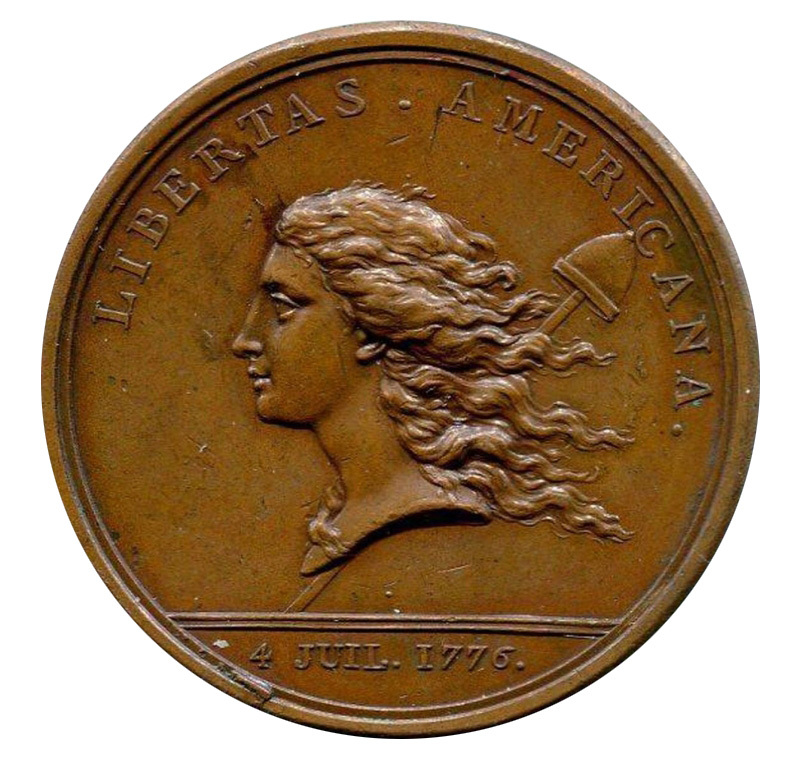 Liberty is represented in a bust profile on the left, hair in the wind, pique and phrygian cap in the background, in the exergue 4 July 1776. This medal with a brown patina is not that of the original strike but of an old strike, probably from the end of the 18th century, around 1797/1799. This print also has the same corner defect in the crown on July 4 as on the original strike. The edge is regular smooth. 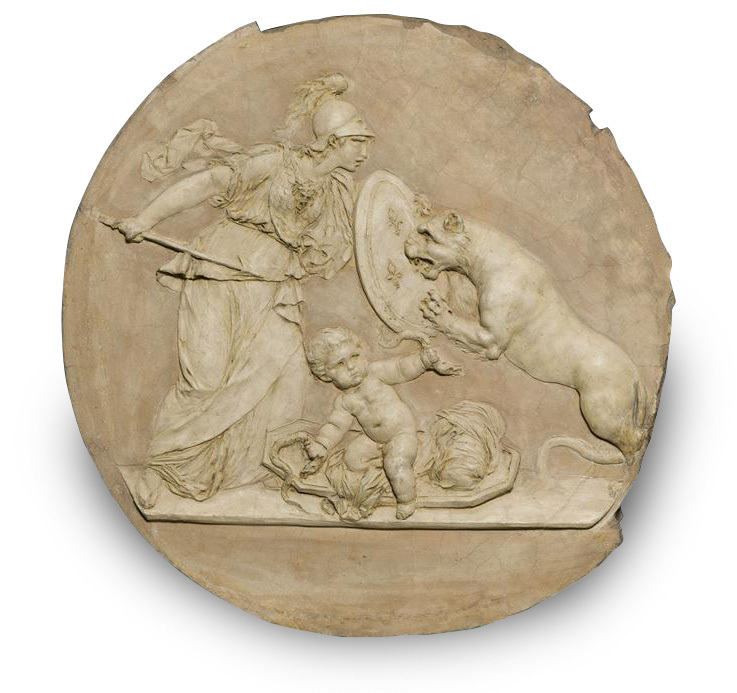 On the reverse is represented a rich composition in which France, symbolized by a helmeted Minerva armed with a spear, protects the British leopard, choking two snakes representing the English army in Saratoga and Yorktown. The following dates are indicated “17 / 19 OCT. 1777. /1781”. The signature “DUPRÉ F.” is engraved under the tail of the leopard, which is placed between its legs as a sign of cowardice. The legend, taken from Book III of the Odes of Horace, means “the brave child was helped by the gods”, both dates refer to the victories over the armies of General Burgoyne in Saratoga and Cornwallis in Yorktown. Franklin saw in these victories a happy omen for his young country (“The extinguishing of two entire armies in one war is what has rarely happened, and it gives a presage of the future force of our growing empire” – letter of 4 March 1782 to the Secretary of Foreign Affairs concerning his medal project). 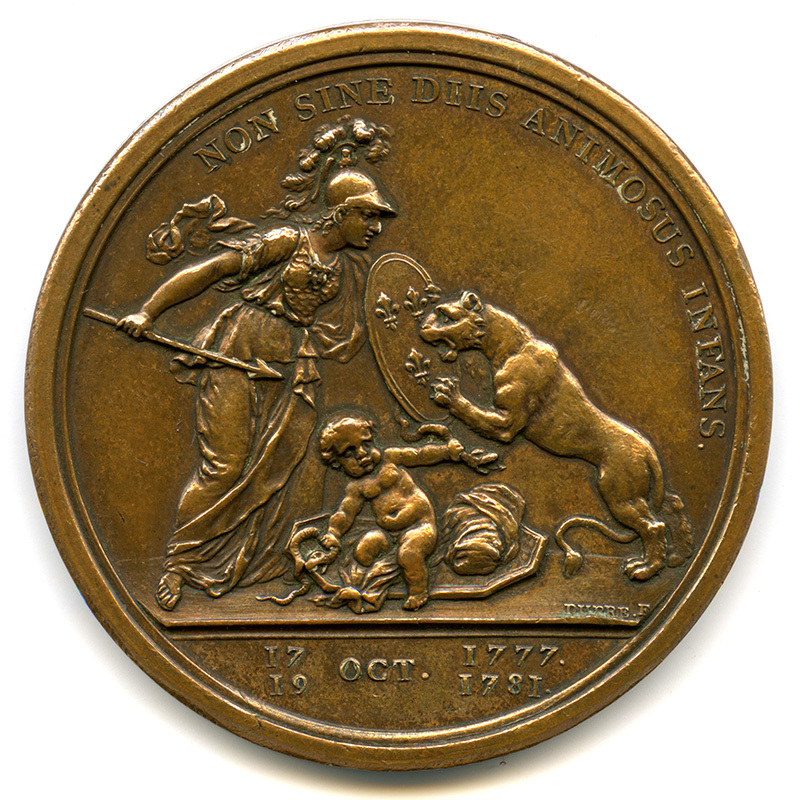 The original terracotta of the medal is kept at the Museum of Franco-American Cooperation in Blérancourt. It is the work of the famous sculptor Lorrain Clodion (1738-1814). Augustin Dupré’s archives were sold by his descendants 4 years ago. 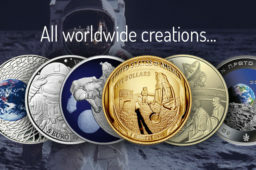 They included many drawings of famous coins and medals, drawings of unfinished projects, letters from Benjamins Franklin and the 1st President of the United States, Thomas Jefferson. 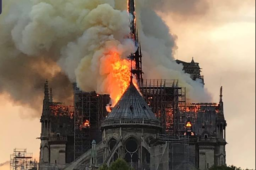 This fund was not pre-empted by the French State. They were bought by an american numismatic dealer, usually specialized in colonial coin issues. Regarding the value of this medal, the original minting is worth around $15,000 and there are only 100 to 125 medals in bronze version. 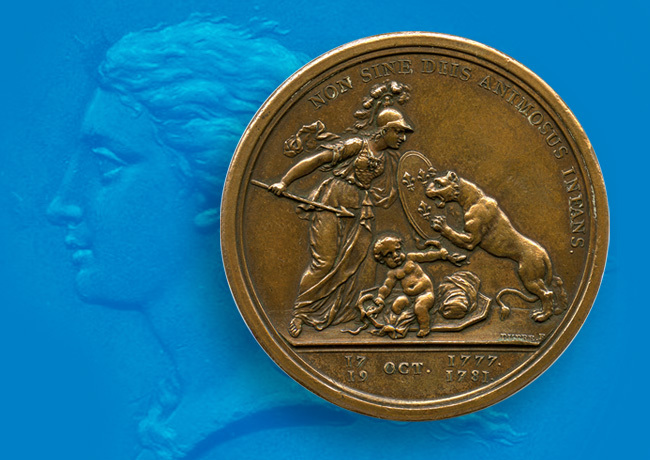 A first strike bronze medal is currently on sale at €14 000. The 1791/97 “restrike” presented above was sold for €4 000 during an auction in France in September 2018. 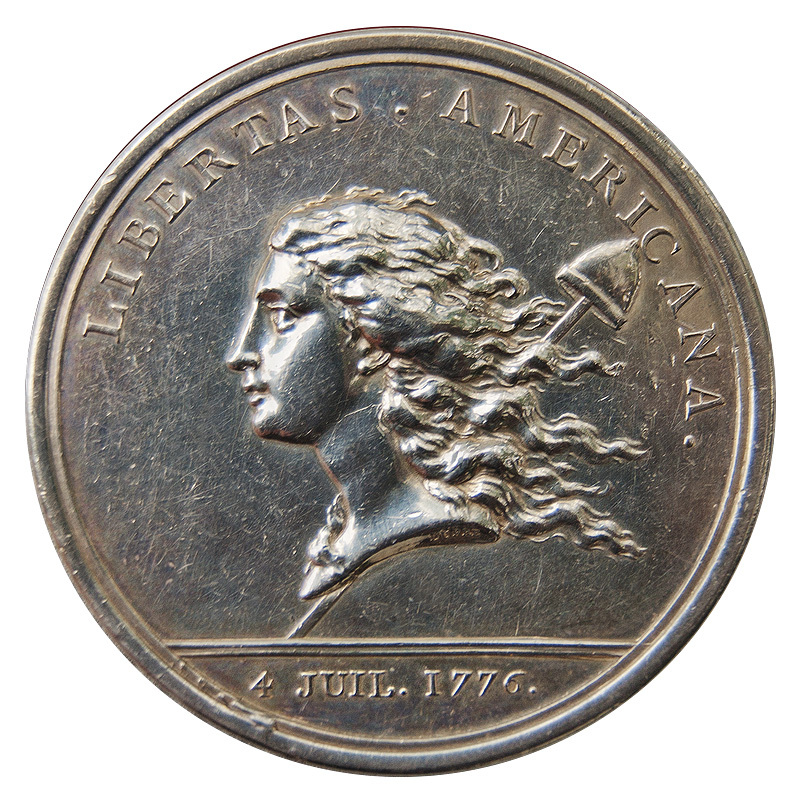 LES MEDAILLES FRANCAISES DE L’INDEPENDANCE AMERICAINE – AUGUSTIN DUPRE- NUMISMAG©.